This 1960’s automotive icon is still attractive today. Some say that it is the most beautiful car ever produced. 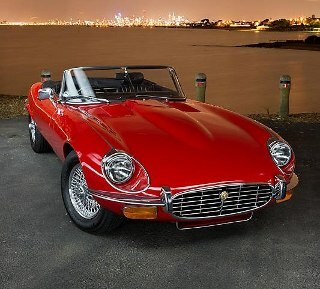 E-type was in production for thirteen years and more than 70,000 vehicles were sold in that time. Series I and II came with 3.8 and 4.2 litre six cylinder engines coupled with either four speed manual or three speed automatic transmission. Series III brought V12 5.3 litre powerhouse engine. Due to competitive prices E-type was a huge success for Jaguar.